Are you a bit snooty about supermarket wines? I am, but I shouldn’t be. 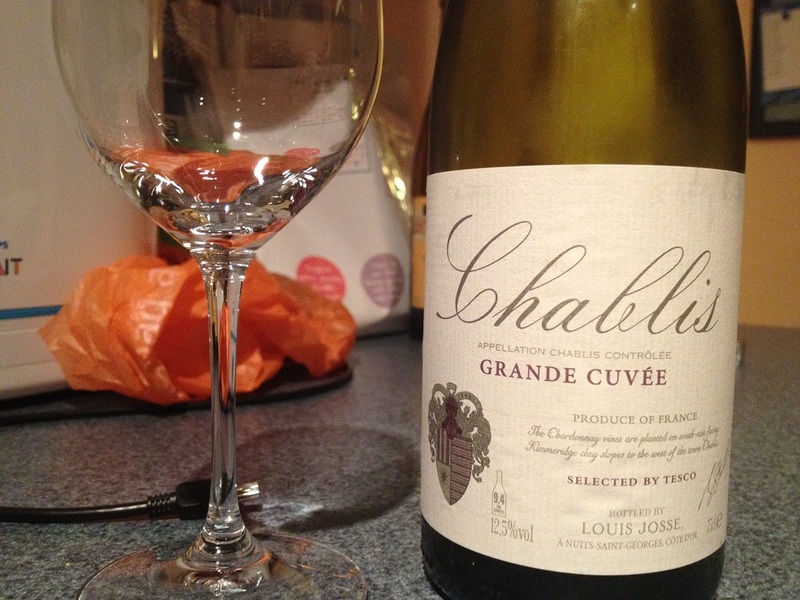 After a warm experience with a couple of Asda whites recently, I was intrigued enough to attend a Tesco wine tasting where this Chablis stood out from the “Finest” range. Steely, minerally Chardonnays from this northern Burgundy region can occasionally taste like putting your tongue across the poles of a 9v battery. Conversely, on opening, this one is full of soft ripe peachy fruit, a bit too soft. But, as the wine warms (best left out of the fridge for about an hour before drinking) the fruit starts sucking on a black Welsh beach pebble. Not at all over-acidic, very classy and smooth and, as a result, better with roast pork than seafood. If you shop at Tesco, you might be interested in the code XXH4H4 which, when entered into the Tesco website before Dec 31, 2012, will get you a “no strings attached” £5 discount from a case of wine of your choice. Have a rethink about supermarket wines, some are better than two slaps across the thigh with a wet kipper from the fish stand. Depending on your sexual persuasion, arguably much, much, better. This entry was posted on Tuesday, December 4th, 2012 at 6:37 pm	and is filed under burgundy. You can follow any responses to this entry through the RSS 2.0 feed. You can leave a response, or trackback from your own site.